It’s important to knows the basics of your auto insurance policy because it’s just good sense to understand what you’re paying for. On a fundamental level, an auto insurance policy can be split into two parts – the premium and the deductible. The premium,which we previously went into detail with, can be summarized as the regular payments you make to ensure you are covered. Now here’s what you need to know about the deductible. In the event of an accident, the insurance company will cover (or refund) the cost of repairing or replacing your vehicle. However, their contributions cover only a portion of the total cost. The other portion, the deductible, comes out of your pocket. As an example, let’s say you have a fender bender and the total cost to repair your vehicle is $2,000. If your deductible is $500, the insurance company will refund a total of $1,500, and you would be responsible to pay the remaining $500. It may appear that it’s always better to have a lower deductible. That way you’ll minimize out of pocket expenses whenever you have to make an insurance claim. But it’s not that straightforward. The lower the deductible, the higher the premiums. This means you’ll pay less in the event of a claim, but your monthly (or annual) fees will be higher. The opposite is also true. If you carry a higher deductible you will save on premiums. Many drivers accept a higher deductible in exchange for lower premiums, because this results in regular and definite savings. Lower deductibles, on the other hand, can net you savings, but only if you have to file a claim. When shopping around for car insurance, it’s a good idea to get quotes with different deductibles. This way you can find the sweet spot that works for you. If you decide to keep your premiums down by accepting a higher deductible, remember to make sure you always have savings that exceed the amount of your deductible, just in case you need to make a claim. There are two types of insurance coverages for your vehicle: comprehensive and collision. 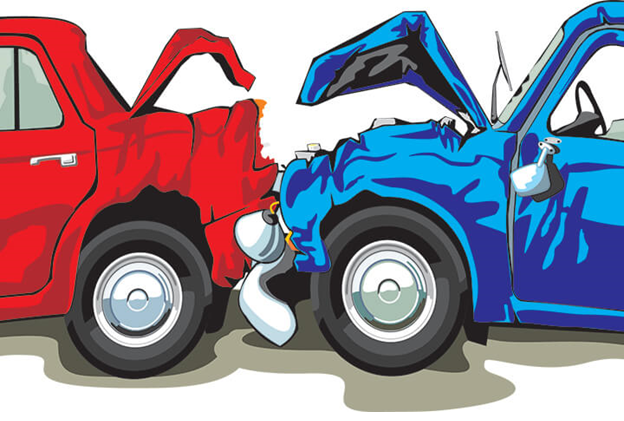 Collision insurance comes into effect when you are in an accident with another driver. If you’re found responsible for the accident you will be required to pay the deductible and your insurer will pay the rest. If you are not found liable for the accident then there are no out of pocket expenses to you. Comprehensive insurance covers all other types of damage, such as vandalism, fire or theft – anything that isn’t considered a collision. Drivers are almost always required to pay the deductible when filing a comprehensive insurance claim because there is no other driver who can be at fault. The damage may not be a result of your actions, but since there is no other party involved you are required to absorb the cost of the deductible.